Slow, deliberate movements improve your stability and protect against falls. 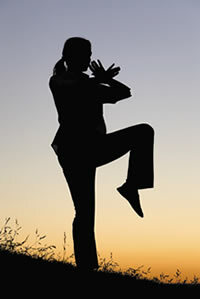 The slow, flowing motions of tai chi train you to shift your weight while maintaining your balance. Tai chi is an ancient Chinese exercise that can help older adults improve their balance and lower their fall risk. And by reducing their risk of falls, seniors can lower their odds of suffering a debilitating fracture. 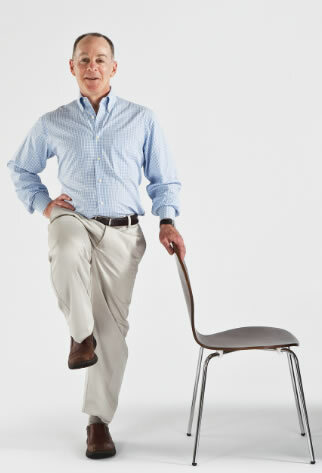 "In just 12 weeks, I've seen people improve their balance and stability and walk faster and farther," says Stanwood Chang, a tai chi instructor at the Benson-Henry Institute for Mind Body Medicine, part of Harvard-affiliated Massachusetts General Hospital. Tai chi has many physical benefits. "It's more aerobic than you think," says Chang. "It exercises the heart and helps prevent heart disease." The slow, extended weight shifting helps improve bone density and joint stability. The movements also stretch and strengthen muscles. "By far the greatest benefit for older adults is a reduction in falls," says Chang, who has been involved in a number of studies that have shown tai chi improves balance. What's the secret? Tai chi combines the physical components needed to stay upright—leg strength, flexibility, range of motion, and reflexes—all of which tend to decline with age. What's more, says Chang, "the slow, deliberate footwork brings more awareness to the soles of the feet, not only in terms of touch sensitivity of foot to the floor, but also in awareness to changes in the ankle angle and weight distribution." Because you're constantly shifting your weight back and forth, you get more familiar with being able to balance in a number of different positions. "It's like practicing tightrope walking on the ground. You're practicing your balance and you're teaching your body to be more sensitive and have greater strength," says Chang. As a result, you'll be able to maintain your balance if you encounter uneven pavement or if you navigate a busy sidewalk or shopping mall. Working many leg muscles at once with this exercise can help you improve your balance. working up to one minute on each side. the chair back or counter. The Harvard Medical School Guide to Tai Chi, published by Shambhala in 2013, is an excellent introduction. The best way to try tai chi is to take a class at a senior center, health club or YMCA, community center, or even a hospital. Chang says you can expect to pay $10 to $20 per hour. You may find a class that allows you to pay by the week, month, or even a few months at a time. A typical class lasts for about an hour. If that sounds too strenuous for you, talk to the instructor in advance about modifying the moves or the amount of time you'll spend standing. "A good tai chi teacher will encourage students to sit down and take a break whenever they want," says Chang. He recommends that you wear loose, comfortable clothing. You can wear sneakers or go barefoot, based on your physical needs and personal preference. A final tip is to pace yourself, and don't overdo it. "The philosophy is 'relax and be comfortable.' It's not the Western idea of 'push yourself 110%.' Tai chi is safe, accessible, and enjoyable for older adults," says Chang.